Ad injection is when you earn money from audio and visual ads getting automatically placed throughout an episode at different intervals. These ads are provided by our trusted partners. Our new Revenue Sharing program allows ads to be automatically inserted into both downloaded episodes and stitched onto on-demand streaming. The logo looks great. I feel like diversity happens on its own. Whenever it's forced by a company, corporation, whatever it feels fake. People should simply broadcast what they love and are passionate about. If it's good people of any background, color, or religion will listen. What I don't understand is the notion that some podcasters, or any media maker for that matter, believes that just because you create something that people will magically find you. If you are going to engage in any of these platforms that have a super low barrier to entry, it is also your responsibility to learn how to build your own audience. As a matter of fact, building your audience should be part of your content creation process. You can just about find any audience on the internet if you do your homework. And finding an audience doesn't mean that you have millions of viewers after creating 3 half-assed episodes. Building a loyal audience is often slow and painful in the very beginning -- and that's ok. So there is no problem with discoverability on the part of minorities or non-minorities (I hate using the word minority...). It's about knowing how to build your audience. Educate your people on how to find you. I listen to podcasts on apps on my phone, YouTube, blog posts, etc. So while people may not be looking for podcasts in particular, they do consume media on other platforms. If you show up where your audience hangs out and you won't have a problem. I am 6 foot 6 inches tall rob. Hey fellas, thanks for the updates on the Spreaker monetization. I'm still a little unclear on how it's calculated. Can you expand further on that? 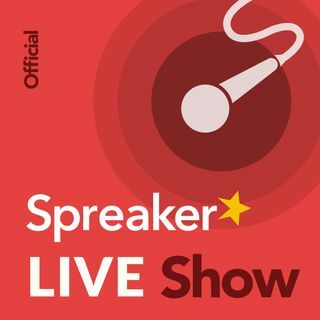 I was talking about Spreaker in general. Yes more like a website. Great to have you listening today!